1 oz Compact Hand Sanitizer in Flip-Top Squeeze Bottle. 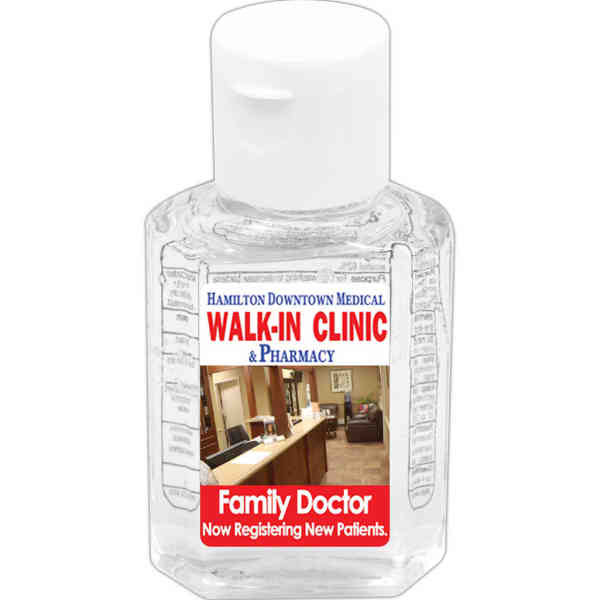 This standard size bottle with 1 ounce of Citrus Scented hand sanitizer antibacterial gel travels easily so you can always stay fresh and clean. Meets FDA standards. All sanitizer bottles include ingredient label on reverse side. Overseas. Size: 1 3/8 " x 3 "
Price Includes:Up to a 4 color process imprint on white vinyl label or a once color / location spot color imprint. Price Includes: per color. Includes a one color imprint, one location.